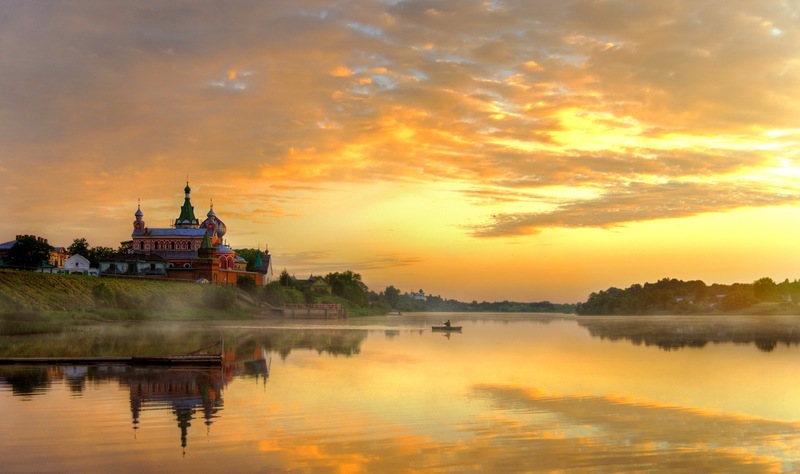 The Marian Tikhvin Assumption Monastery is an Orthodox monastery located in the town of Tikhvin in the Leningrad region, about 220 kilometers east of St. Petersburg. Pimen, the Archbishop of Novgorod, founded the monastery by the order of Ivan the Terrible in 1560. The main relic of the monastery is the miracle-working Tikhvin Icon of the Holy Mother. Tikhvin Monastery on Google Maps. Photos by: Dmitriy Gazin. Vyborg, a city in Russia with a population of about 80 thousand people, is located in the Leningrad region, near the border with Finland and 120 kilometers from St. Petersburg. The city, founded as a fortress by the Swedes in 1293, is the only historical settlement in the region. 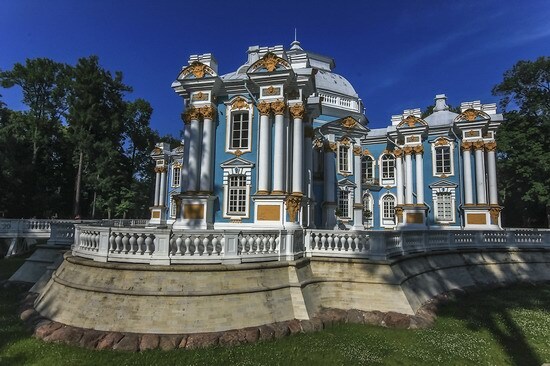 The Hermitage is a park pavilion built in the Baroque style in the Catherine’s Park in Tsarskoye Selo, the former Russian imperial country residence located near St. Petersburg. The pavilion, constructed in 1744-1754, served for entertainment meetings of the courtiers. The Hermitage combines white columns, pilasters, architraves, pale turquoise walls and a number of gold-plated elements. Sixty-four decorative columns, stucco garlands, masks, lush window frames don’t leave smooth surfaces. Photos by: deletant. Away from the noise of big cities, in the middle of the water surface of the Vuoksa River (Priozersky district of Leningrad Oblast), you can find this beautiful church. 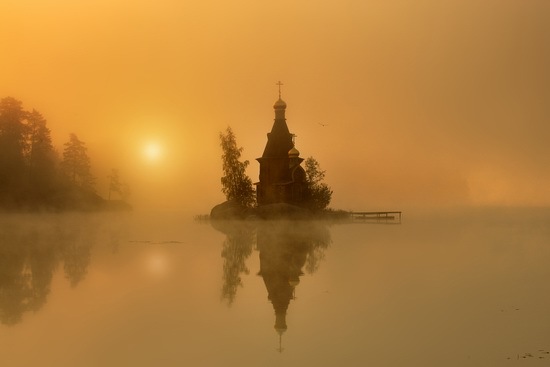 The church of St. Andrew is the only church in the world built on a tiny island, a solid rock protruding from the water serves as the foundation. It is the perfect place for solitude with nature and reflection on life. The church on Google Maps. 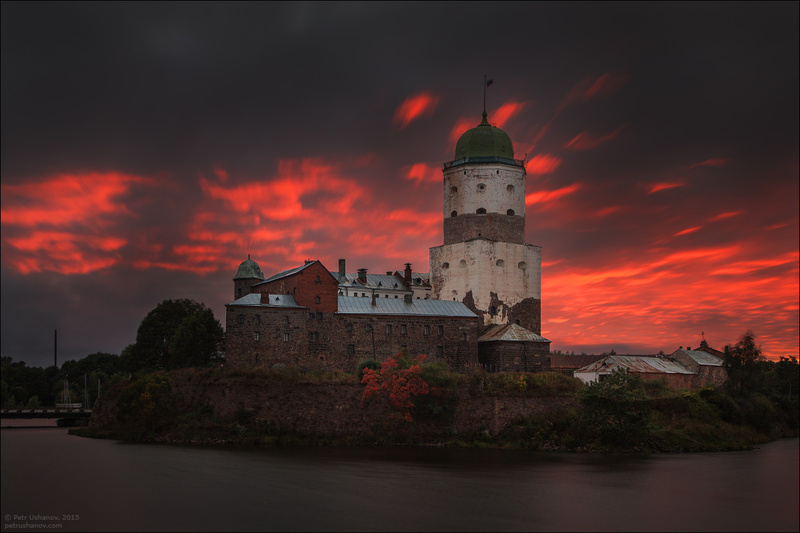 Photo by Eduard Gordeev. 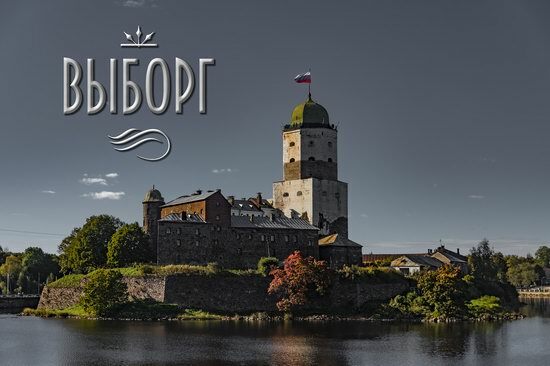 Today, Staraya Ladoga (until 1703 – Ladoga) is a small village (population about 2,000) located in the Volkhov municipal district of the Leningrad region of Russia. 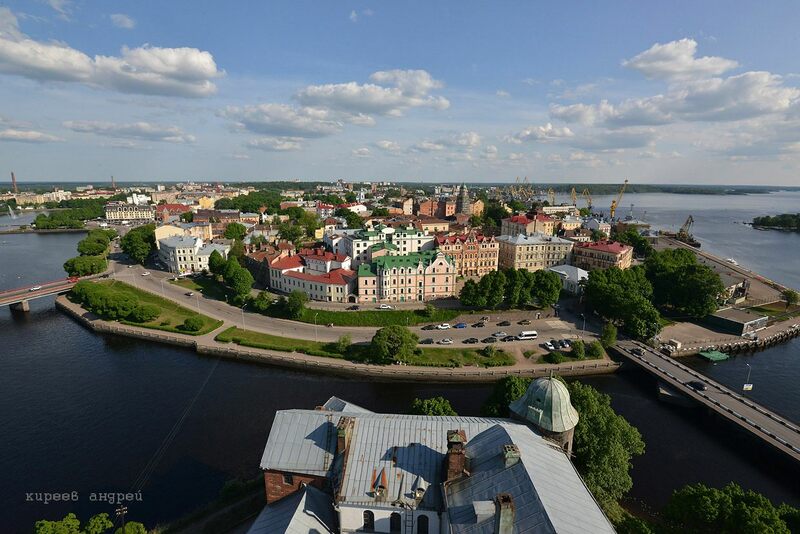 But prior to 1703, Ladoga had a status of a town. Catherine’s Palace is the former imperial palace, one of the largest in the vicinity of Saint Petersburg. The palace is located in the town of Pushkin (formerly Tsarskoye Selo), 25 km south of St. Petersburg. 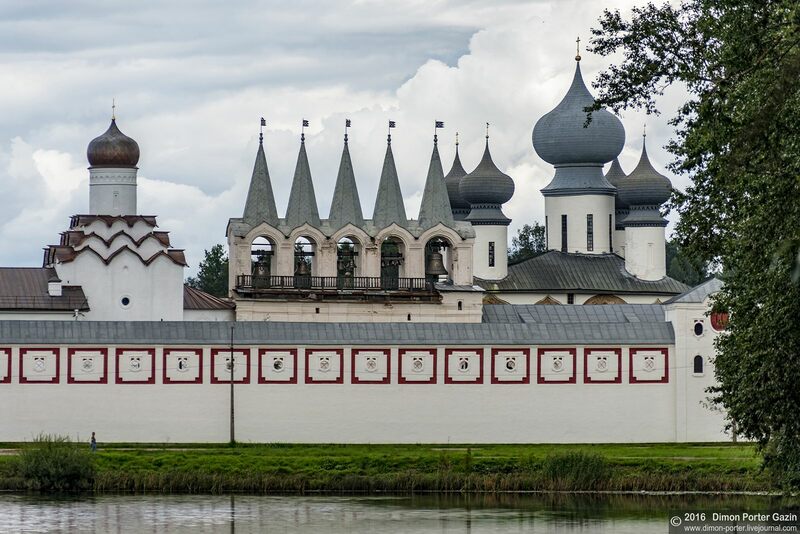 The architectural trends of each era the palace survived, and personal predilections of Russian rulers of the time were reflected in the history and architecture of the palace. 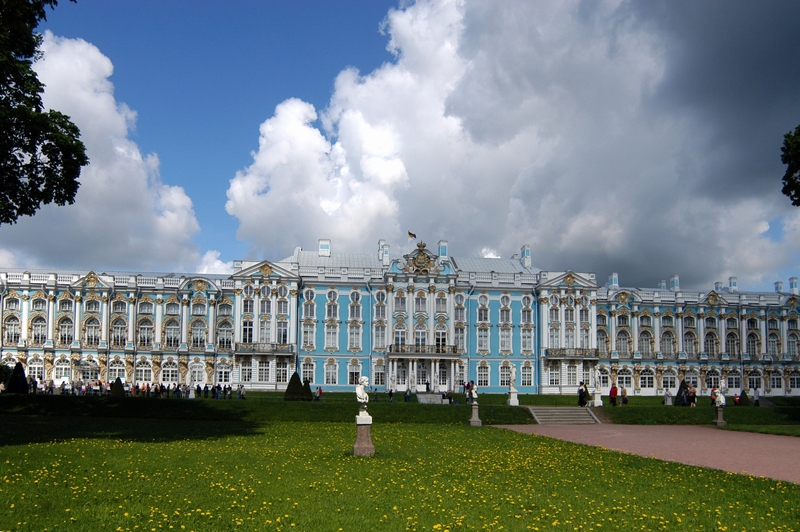 The palace was built in 1717 under the direction of German architect Johann Friedrich Braunshtein as the summer residence of Empress Catherine I. 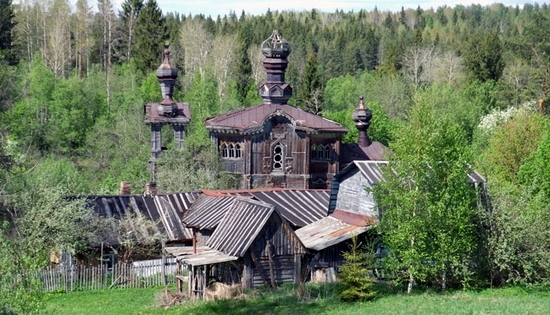 Wooden сhurch of St. Prophet Elisha is located in a deserted village Yakovlevskaya of Podporozhsky area (Leningrad oblast) on the shore of Lake Sidozero. The church built in 1899 and closed in 1939 is being in significant disrepair now. The photos were taken by roving-wiretrap.